Anyway, on to today’s real sonnet. This is a totally arbitrary pick. In fact, I forgot about this sonnet completely until I was flipping through one of my notebooks. 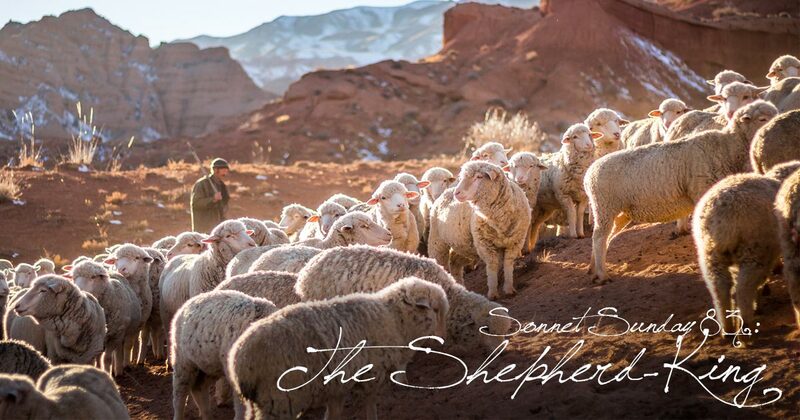 The main thing to say about it is that I had the excellent book A Shepherd Looks at Psalm 23 in mind when I wrote it. One of the key pieces of information I learned is that shepherds would anoint their flocks with oils; if I recall correctly (and it’s been a few years since I’ve read it), the oil functioned as a bug repellant, keeping bugs away (and therefore diseases). If you ever want to really know what’s going on in Psalm 23, I highly recommend that book. Anointing them to keep flies off the flock. If misbehaving, giving them a knock. To keep the neighboring thieves and wolves at bay. A shepherd’s cure to crown a shepherd king.